It is the annual season for cultivating transparency, harmony and observing the values of compassion. Embrace this holy month of Ramadan with family and friends while break-fasting at The Living Room of The Westin Kuala Lumpur. Designed with the well-being element in mind, The Living Room offers diners a generous buffet spread of various cuisines. From family favourites to special occasion dishes, the vibrant flavours and fragrant aromas come to life at The Living Room. The all-day dining restaurant’s Juadah Iftar Kampung features not only traditional Malaysian dishes, but also cuisines from around the world and live carving stations. Break-fast with an extensive spread of inviting appetizers, delightful mains and delectable desserts with more than 50 appealing dishes laid out on the buffet aisle. Rice and hot dishes are the center of all Ramadan buffet spreads. Diners are spoilt with the savory highlights – Assam Pedas Claypot (Fish with Spicy Tumeric Coconut), Ayam Bakar Sambal Kelapa (Roasted Chicken with Coconut Chili Paste), Gulai Keting Kambing Keluak (Lamb Curry with Kepayang fruit), signature Westin Biryani accompanied by Roasted Whole Lamb complemented with Mint Sauce and Lamb Jus and many more! 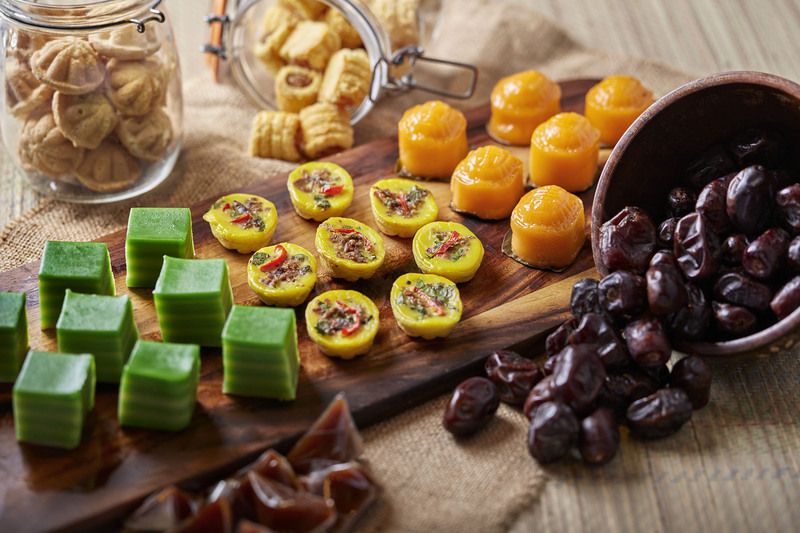 Not forgetting the final sweet touch of fine dates, assorted traditional Malay kuih and modern delectable desserts. Gather with your friends and family and savor the unique and aromatic flavors of this King of Fruit. Eat to your heart’s contents in a specially constructed canopy as our chefs wield their knives and pop open the thorny fruit in all its glory, one durian at a time.